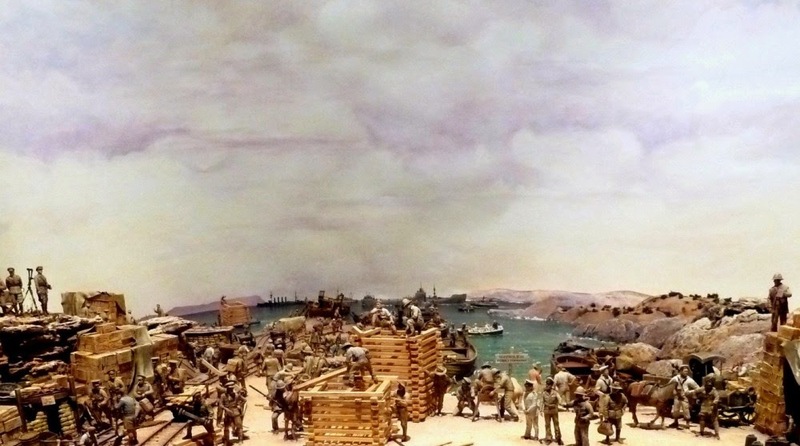 The Australian National Maritime Museum features a diorama of another part of the Gallipoli campaign - the Royal Australian Navy Bridging Train at Suvla Bay. 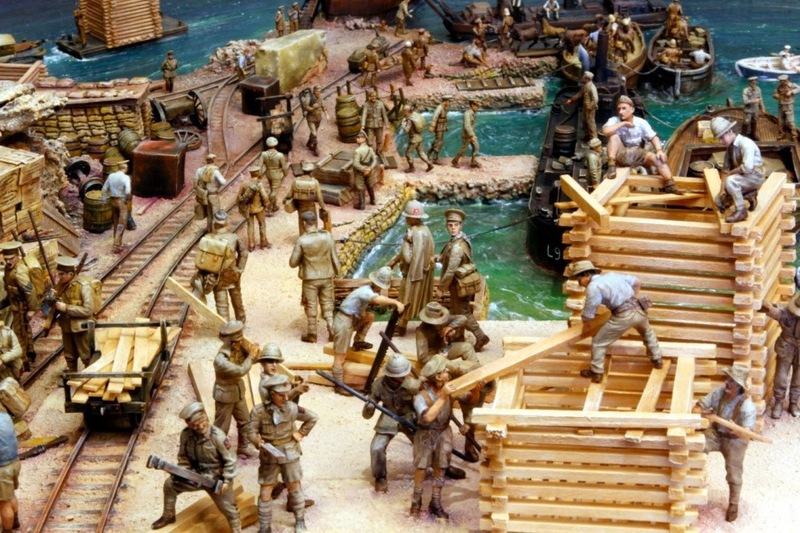 One of the most popular parts of the War at Sea – The Navy in WWI exhibition is a wonderfully old-school diorama. It has no bells or whistles. You can’t swipe, touch or play with it — apart from a series of buttons that light up various sections. But everyone — even the ‘walk through’ visitor — stops and checks it out. 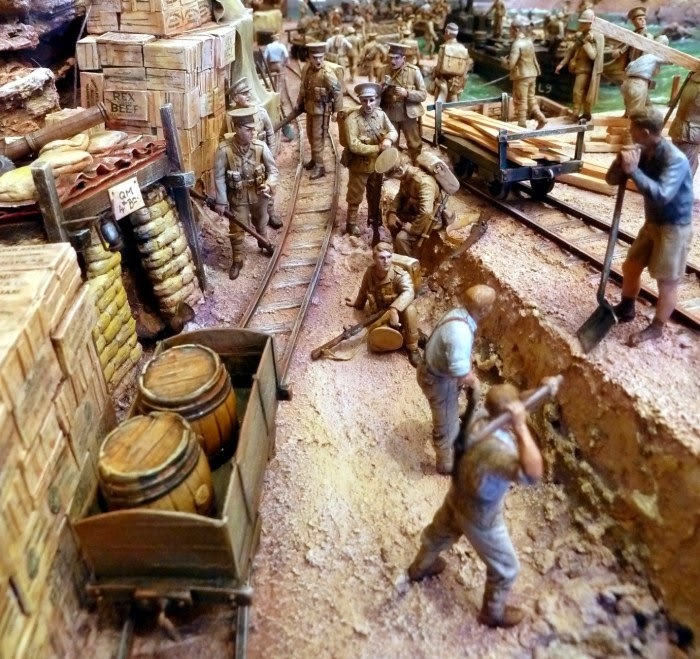 I think this too will be the attraction of our Chunuk Bair diorama when it opens in a month's time. To see more pictures, and to read the story of the Royal Australian Navy Bridging Train, visit the Australian National Maritime Museum website.